It seems more and more, as is the way of consumerism, that in order to do “self-care” you need to spend a pretty penny, fill up an online shopping cart, visit that far away resort or book in for a limited edition, one of a kind, massage “experience”. As much as I love a luxurious appointment as the next girl, it seems like self-care is becoming less about the actual self and more about brands jumping onto the bandwagon and offering a ‘pay for use’, commercialised version of the small rituals we can be doing for ourselves, for free! I’ve accumulated some of my favourite free self-care ideas that can exist without conditions of price, excess time and/or privilege. So you can tune back in, show yourself the compassion you deserve, release some tension and practice some authentic self-care. It sounds so simple it almost you almost don’t consider it as self-care right? But conscious breathing is an integral self-care method for your mind, body and spirit. Helping to centre the focus of the mind, align the systems, re-energise the body and calm the nervous system, integrating simple breath work exercises is an efficient, free and immediate way to nourish yourself. Meditation is a simple, yet incredibly powerful tool, that should be included in your arsenal of self-care weaponry. With countless styles and formats continuously emerging, whether it be mindfulness, Vedic, transcendental, Kundalini or loving kindness, it’s easier than ever before to find a style of meditation that will resonate with you. If you’ve had a little experience before, you can give it a go all on your own. However if you feel like you need a bit more guidance or structure, simply jump onto YouTube or try the free app Insight Timer, where you can find thousands of guided meditations leading you through the process. Sleep is another self-care tool that seems so blatantly simple, yet many of us overlook, or push to the side by way of the “hustle”. Getting enough sleep has an intensive kick on effect to your daily feelings of wellbeing and detrimentally affects many processes and experiences of the body – including but not limited to your hunger levels, hormonal health, stress-response, anxiety, motivation and focus. Cultivating better sleep hygiene and implementing sleep routines can be complex, but setting a positive intention to ensure you prioritise rest and sleep, is a genuine gift back to the mind and body. 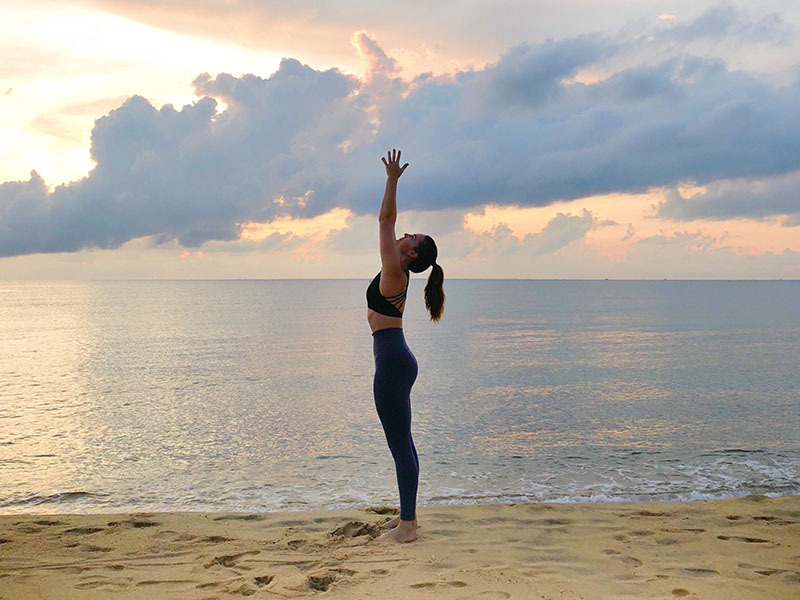 Getting grounded, earthing, forest-bathing…whatever you may like to call it, getting outside and reconnecting your body and spirit to nature is an oftentimes overlooked free self-care practice. Various studies have indicated the subjective beneficial effects on the human body, including enhanced feelings of wellness, better sleep and lessened pain or inflammation, that occur when humans have direct physical contact to the vast number of electrons in the earth surface. As social beings, humans thrive on maintaining social connections. Regardless of your physical proximity to loved ones, scheduling in a phone call to a friend or family member, which allows you to have time to properly catch up and a converse – beyond a cheeky Instagram tag, or text message – is an exceptionally valid form of self-care. This practice is especially helpful in times of crisis – when it is important to remember, a problem shared, is a problem halved. It’s the most simple biomechanical action that near all of us perform without a second thought, yet going out for a walk is an powerful self-care method that can stop anxiety in its tracks. Walking is at the pace of discerning thought, which means it is in the correct rhythm and speed that allows us to think clearly and well. When we set out for an intentional walk, the amygdala – the area of the brain that controls anxiety – can only focus on one thing at a time, and walking simply shuts that down, so it effectively sets the pace for filtering information and emotional states! What are you waiting for?! Get lacing up and out the door! For those to whom writing doesn't come naturally, cultivating a journalling practice can appear excessively overwhelming or tiresome. However, the practice of putting pen to paper is an incredible tool for self-care which helps you to process and acknowledge your emotional states. By simply getting the thoughts out of from your swirling mind and onto the page you consciously begin to recognise the states you are in. Some great forms of journalling include creating a gratitude journal, Morning Pages, a daily journal or accomplishment lists – where instead of endless to-do’s, you jot down everything you managed to achieve that day! It’s a harsh reality that our digital dependency can negatively implicate our emotional states. As we are more connected than ever before – our reliance on being tapped into work, social circles, the news cycle or social media at all hours can quickly spiral from a positive connection into an anxious, fraught and overwhelmed state. Often triggered by the seemingly innocuous push notification from an app! Unplugging, even if just for a few minutes or hours, can have a hugely positive impact on your mental health, mood and wellbeing. In doing so, you can re-centre and return to calmer states that have not been directed or determined by outside influences. Balancing your blood sugar is a self-care practice that is hugely beneficial particularly for everyone, but particularly those who experience mental health conditions. The rollercoaster of low blood sugar followed by sugar highs can be especially triggering for those predisposed to anxiety and depression. With continuous research emerging about the links between blood sugar, the micro-biome and mood disorders, it is becoming increasingly apparent that our nutrition can have an impactful persuasion to our emotional states. Fuelling yourself with nourishing, balanced meals, spread across the course of the day with a vibrant mix of readily available whole foods – plants, protein, fats and carbohydrates – is a beneficial start to balancing your blood sugar levels and can be a powerful self-care tool. While yes, we do have to pay for our food – choosing to be mindful about how and when we eat, is free. So by implementing practices that balance our blood sugar, this can be considered a free self-care practice. Gentle stretching paired with considered breathing is a mindful self-care practice that has hugely beneficial effects on the musculoskeletal and nervous systems of the body. Taking some time to ease out tense muscles and bring your awareness to the body has positive outcomes for your physical state and mental wellbeing, inducing feelings of ease, wellness, lowered anxiety, improved mobility and enhance immunity. I created this free cool down stretch guide to help you implement this self care practice into your daily routine without any extra fuss, cost or constraints. What are some of your favourite self care practices? let us know in the comments below!